Is Exert an activated ability? What is the best way to deal with aetherworks marvel? what does and does not count as an activate ability? What's the difference between a triggered ability and an activated ability? Is walking Ballista ping ability an activated ability? And is crewing a vehicle a activated ability? May I ask why there aren't more effects like Harsh Mentor and Cindervines ? 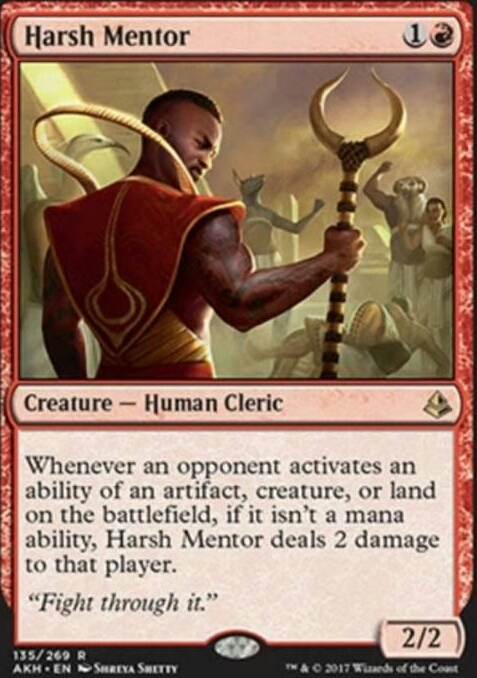 Is Harsh Mentor good in Mogis Commander decks? 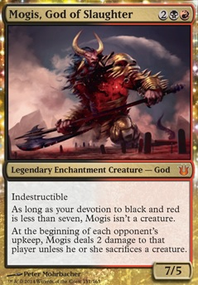 I am working on a Mogis too. 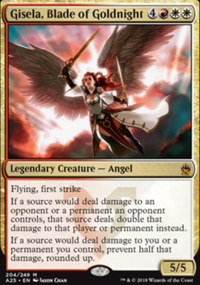 Its good that you are starting with making a deck based off a precon. Some of my best decks are based of Standard Finals Decks. Its one of the best ways to really get going. That doesn't mean, however, that you are always right and that I'm not going to give some advice. 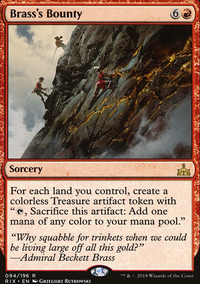 While some cards are used in Standard against some matchups, when you play Modern, you have access to a much larger pool of cards. 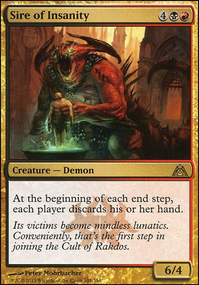 With this in mind cards like Cast Out and Harsh Mentor aren't really viable in Modern. Path to Exile is better than Cast Out in pretty much everyway, whereas there are better options for hate than Harsh Mentor . 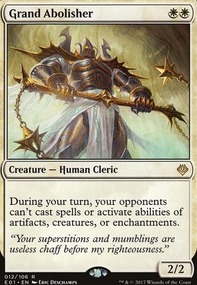 If you are looking for some anti-graveyard cards, I'd suggest Grafdigger's Cage , Leyline of the Void , Relic of Progenitus , Rest in Peace or Nihil Spellbomb . Any of those are better than Crook of Condemnation in their own way. There are also some cards that just don't seem to fit. Why do you run Celestial Dawn ? Is mana fixing really that much of a problem for this deck? I just don't see it. And how much does Cultivator's Caravan really help? I mean, you just spent 3 mana and at least 3 power on a mana dork who is admittedly a 5/5, but still. I would look at maybe Smuggler's Copter just for the cheaper price and the ability to refill your hand. 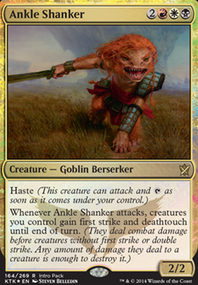 All in all, pretty impressive for your first even Mtg deck. +1 from me. This seems such a fun deck! 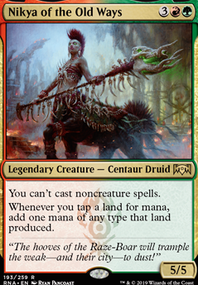 Indeed, it presents much sturdier threats than red aggro and yet it can deploy a fast clock for the opponent with its various haste creatures, on top of sporting disruption pieces such as Harsh Mentor and the dreaded Blood Moon . Would perhaps Runaway Steam-Kin fit into this deck or would it not do enough? Is Bonus Round worth keeping without LED? seeing as you'd need a different line to combo off there. 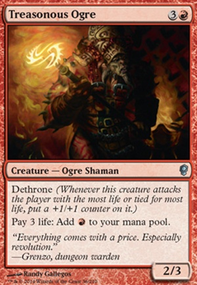 Also Immolation Shaman from RNA is a weaker Harsh Mentor effect that doesn't die to Pyroclasm (just to consider). Grab that new card Bedevil such a sweet card.